Computer, what is “free time”? 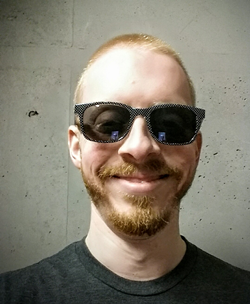 Howdy, I’m Martin Ralya. Alongside my day job, I’m a tabletop gamer, a mountain hiker, and an award-winning author, blogger, and small-press publisher. I live in Seattle with my amazing wife, Alysia, our awesome daughter, Lark, and our nutty dog, Wicket, in an apartment full of books and games. 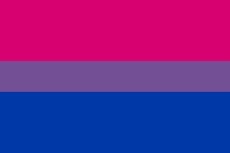 I came out publicly as bisexual in 2018. MartinRalya.com is my online hub — an easy way to check out my published work, read my blog, Yore, and see what I’m up to. If you’d like to get in touch, drop me a line. In 2009, I started a small-press publishing company, Engine Publishing. We’ve sold over 32,000 copies of our books since our first release in June 2010. Our first five books are bestsellers in the top 0.7% of over 40,000 products on the RPG industry’s largest PDF retail site, DriveThruRPG. I’ve led teams of 10-25 people for our books, and working with talented and creative folks has been a fabulous experience every time. Our books are available in print and digital formats in the Engine Publishing store as well as elsewhere online, and are distributed to retail game stores worldwide by Studio 2 Publishing. My highest summit to date is Utah’s Mount Timpanogos (11,749 feet, pictured above). My peakbagging wishlist is usually current. I’ve been gaming since 1987 and running RPG-related websites since 1999. 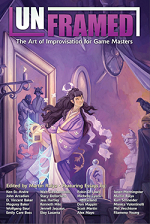 Except for a break from 2007-2008, I’ve been blogging about RPGs since 2005, and have written more than 1,300 GMing articles, all of which are available for free. I currently blog about gaming (and other topics) on Yore. Yore has been covered in Knights of the Dinner Table (issue #253, 2018), which featured two of my blog’s most popular resources: Hexmancer and my DCC RPG hexcrawl binder. I have 34 published credits in the RPG industry, primarily as an author. I love to write, and I’m experienced at writing both rules material and descriptive text, as well as editing, indexing, design, and development. I’ve worked in a variety of genres and freelanced for about a dozen companies, including Paizo Publishing, Goodman Games, Tabletop Adventures, and Expeditious Retreat Press. I’m always interested in freelance opportunities, and I’ve never missed a deadline. 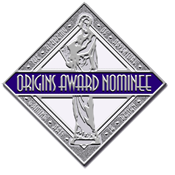 My work and the books I publish have won and been nominated for several RPG industry awards over the years, and I’m grateful that things I love doing have earned this kind of recognition.